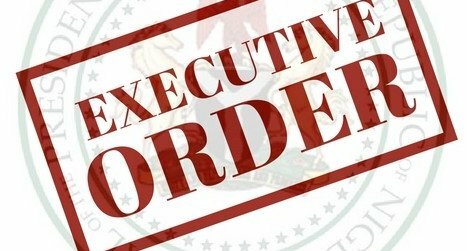 An Executive Order (EO) is a rule or an official statement issued by the President to an executive branch of the government about how the federal agencies are to use their resources. Executive Orders have the force of law. The issuance of an EO by the President is not equivalent to the creation of a new law or the performance of legislative functions; it is the instruction by the President to the government on how the latter is to work within the parameters that have already been set out through legislation and the Constitution. The President's Executive Orders are published (or “gazetted”) in the government’s official daily journal and, although they are considered binding, they remain subject to legal review. 3. Timely submission of annual budgetary estimates by all statutory and non-statutory agencies, including companies owned by the Federal Government (E03). In addition, on Thursday, June 29, 2017, Professor Yemi Osinbajo signed EO4 on the Voluntary Assets and Income Declaration Scheme, which offers tax amnesty, until March 31, 2018, to tax payers who have defaulted in their tax obligations in the past. All Ministries, Departments and Agencies (MDAs) of the government are directed to engage indigenous professionals in the planning, design and execution of national security projects, and to maximize domestic capacity in all contracts and transactions with science, engineering and technology components. All procuring authorities must give preference to Nigerian companies and firms in the award of contracts in line with the Public Procurement Act, 2007. That is, procuring entities can only give preference to foreign companies and firms where it is certified by the relevant authority that expertise is lacking in Nigeria, and such foreign company and firm must have a demonstrable and verifiable plan for indigenous capacity development, prior to the award of such contracts. 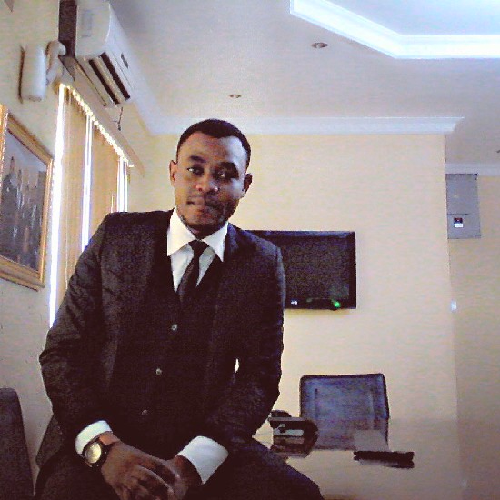 Nigerian companies or firms duly registered in accordance with the laws of Nigeria with current practicing licenses must take the lead in any consultancy services involving joint venture relationships and agreements relating to law, engineering, ICT, architecture, procurement, quantity surveying, etc. MDAs must ensure that before the award of any contract, Nigerian counterpart staff are engaged from the beginning to the end of the project and must also adopt local technologies that meet standards set by the National Office for Technology Acquisition (“NOTAP”) or other relevant local authorities. The Ministry of Interior is prohibited from giving visas to foreign workers whose skills are readily available in Nigeria. MDAs must ensure that all professionals practicing in the country are duly registered with the appropriate regulatory bodies in Nigeria and that all foreign professional certificates are domesticated with the relevant professional bodies before being considered for any contract award or employment in Nigeria. The NOTAP is required to develop, maintain and regularly update a database of Nigerians with expertise in science, engineering, technology and other fields. It is this database that the Ministry of Interior must consult in determining the availability of local skilled manpower in science, technology and innovation prior to the grant of an employment contract to a foreigner under Nigeria’s Expatriate Quota (EQ) system. Where qualifications and competence of Nigerians are either unavailable or unascertainable, the Ministry of Interior must ensure that any EQs for projects, contracts or programmes are granted in line with the provisions of the Immigration Act and other relevant laws and may create special immigration classifications to encourage foreign expatriates (particularly from African countries) to reside and work in Nigeria for the purpose of sharing knowledge with Nigerian professionals. The Federal Inland Revenue Service and the Ministry of Finance are required to ensure that tax incentives are granted to existing machine tools companies (including foundry, machine shop, forge shop, and indigenous artisans) to boost local production of their products while tax incentives may be granted to SMEs and foreign firms for the utilization of local raw materials that are authenticated by the Raw Materials Research and Development Council. The main objectives of the EO5 are to harness domestic talents and develop indigenous capacity in science and engineering for the promotion of technological innovation needed to drive national competitiveness, productivity and economic activities, which will ultimately enhance the achievement of the nation’s development goals across all sectors of the economy. Without doubt the EO5 will boost domestic production of goods and thus create jobs and improve investment in science, technology and engineering in Nigeria. However, with the signing of the EO, companies that intend to employ foreign nationals on long-term assignments and require the grant of EQs will undergo additional rigorous scrutiny. Such companies will be required to employ Nigerians to understudy their foreign experts to enable Nigerians to acquire the requisite skills for the eventual takeover of the expatriate positions. Although this has always been the case, with the EO5 having the force of law, there will be higher scrutiny regarding the implementation of this requirement. While the signing of the EO5 is a positive development for Nigeria and the West African economy, there may be a need to incorporate the provisions of the EO5 in an Executive Bill to be enacted into law by the National Assembly in the near future in order to achieve maximum impact.